First prepare your bacon and chop up fresh green onions, setting both items aside. Boil your potatoes until soft with skin still intact. 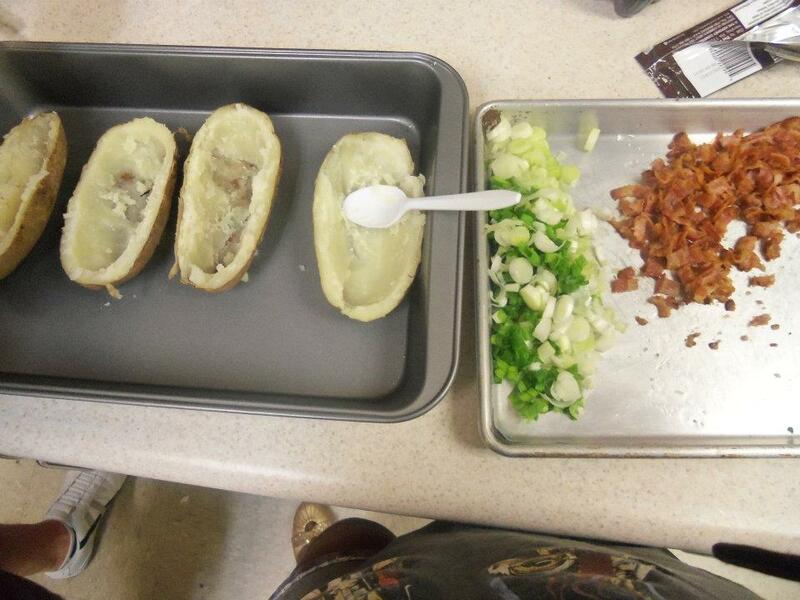 Next cut your potatoes in half, scooping out the middle part leaving the shell. Place shells on a nonstick pan. 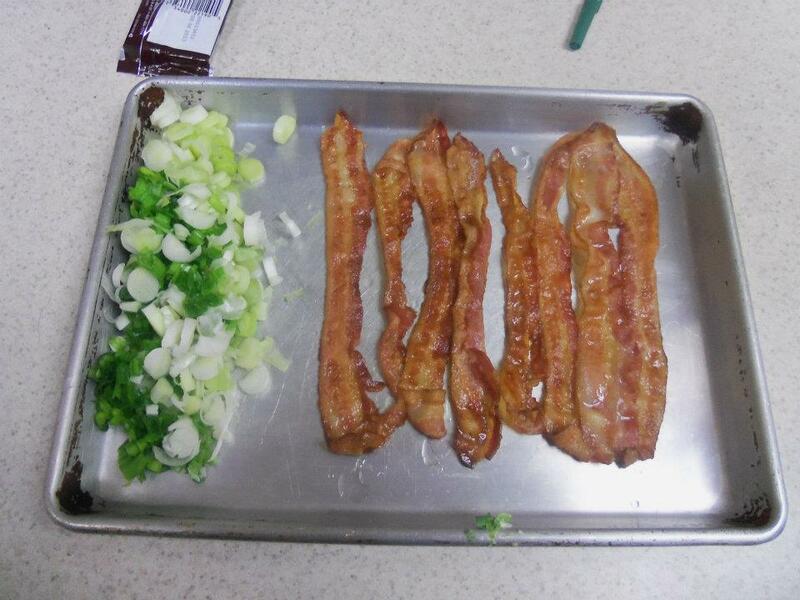 Chop up your bacon into bits as well. 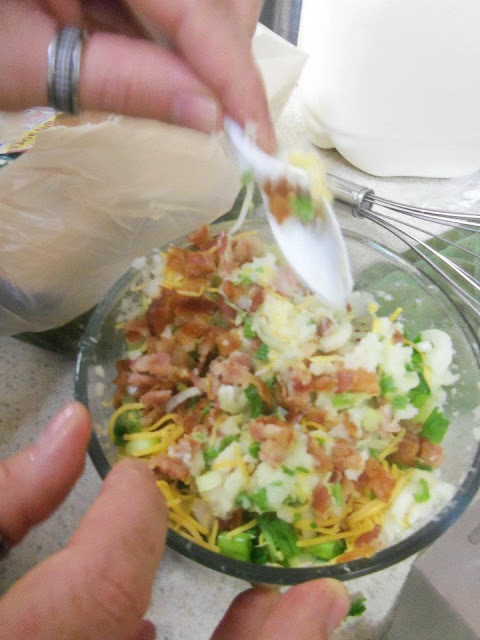 Then Mix, the middle portions of your potatoes, with cheese, bacon bits, milk, butter, and green onion ( leaving a bit of green onion for garnish at the end) Mix until smooth and creamy. Next stuff the potatoes shell with the mixture. Cover with shredded cheddar cheese. 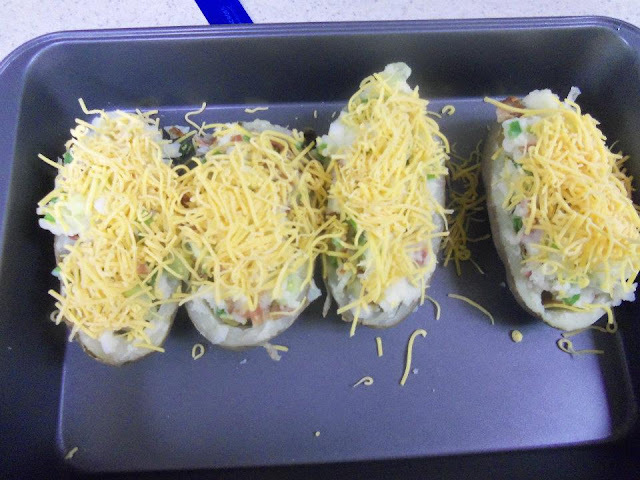 Place in the oven and cook until cheese is melted and lightly browned. 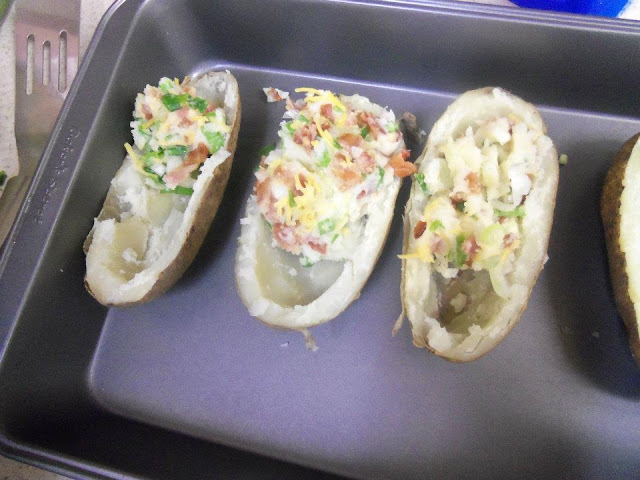 Finally, serve with a table spoon of sour cream on top of each potato and garnish with green onion.